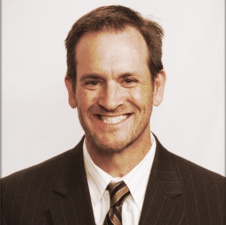 Ben concentrates his practice in the area of Special Education law and appellate litigation. He has extensive experience representing families of children with special needs under the Individuals with Disabilities Education Act (IDEA), Section 504 of the Rehabilitation Act of 1973. His goal is to help parents understand not only their child’s differences and disabilities, but also his or her academic potential. He enjoys collaborating with experts to improve IEPs during meetings with the child’s IEP team, and litigating administrative due process hearings. Before practicing special education law, Ben represented institutional and individual shareholders, litigating actions under the federal securities laws. He also served as Deputy City Solicitor for the Law Department of the City of Philadelphia, representing the Philadelphia Board of Pensions and Retirement, and serving as a Right-to-Know officer for the City of Philadelphia. He began his legal career as a judicial clerk on the Pennsylvania Supreme Court. Ben is admitted to practice law in Pennsylvania, New Jersey, Delaware, New York and North Carolina. He collaborates regularly with Gina Decrescenzo, P.C. for special education and related matters in the greater New York City area. Ben has an ongoing scholarly interest in the history early American and Native American education. He lives with his wife, Dr. Pamela Szczygiel, professor of Social Work.